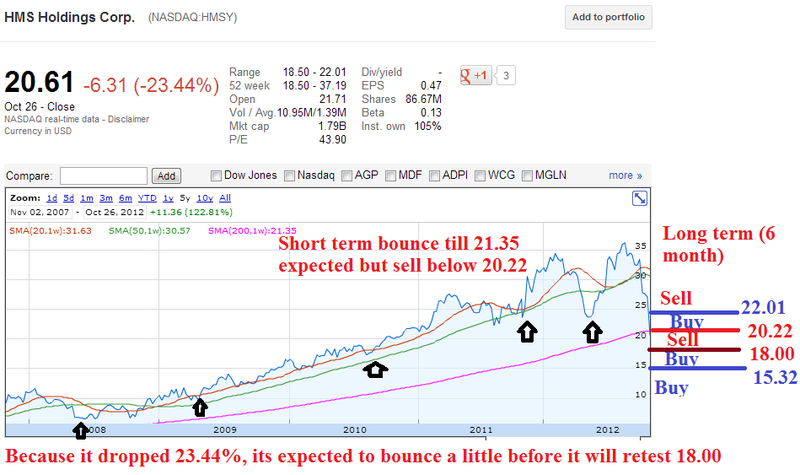 Below is the buy and sell level for AAPL, SPY, AIG, CTCT, HMSY, GS, and SLV requested by More, OBO, and BOnd. 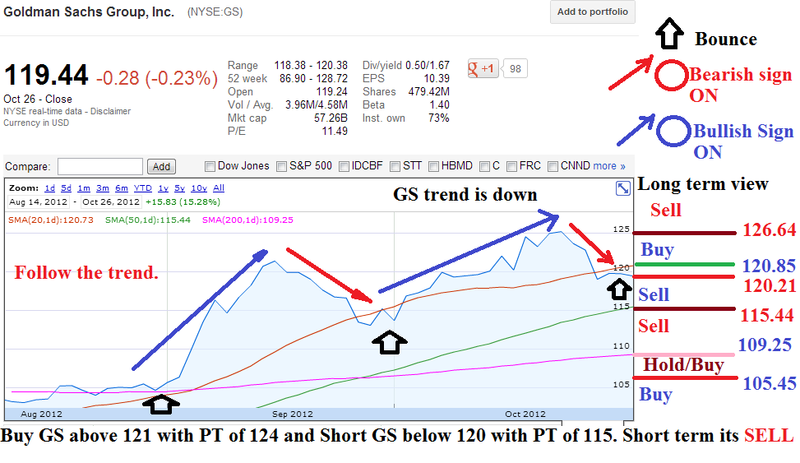 Here is a guideline to read the chart. 1. 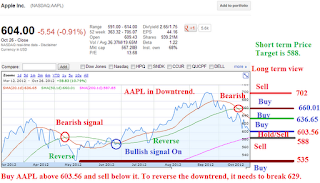 Red circle or arrow: Bearish sign ON which is the sell signal. 2. 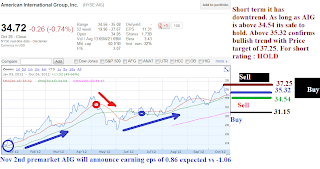 Blue Circle or arrow: Bullish sign ON which is buy signal. 3. 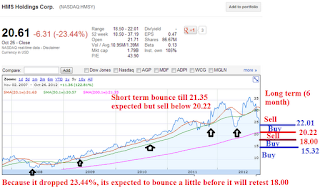 Black arrow: Uptrend bounce. 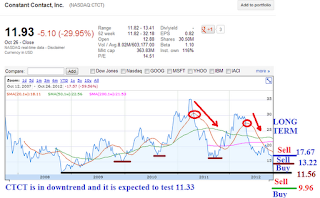 Rule is simple, "Follow the trend, don't bet against it" and if its volatile, "Sit on the sideline". For Day trading: I'll buy at 603.56 if its trending upside then I'll hold it till 611 will see if it breaks 614 which confirms bullish trend and next target is 622. If its falls to 608 on the way down or If AAPL Breaks 603.56, I'll sell/short it to see if 598 breaks which gives price target of 592 followed by 588. 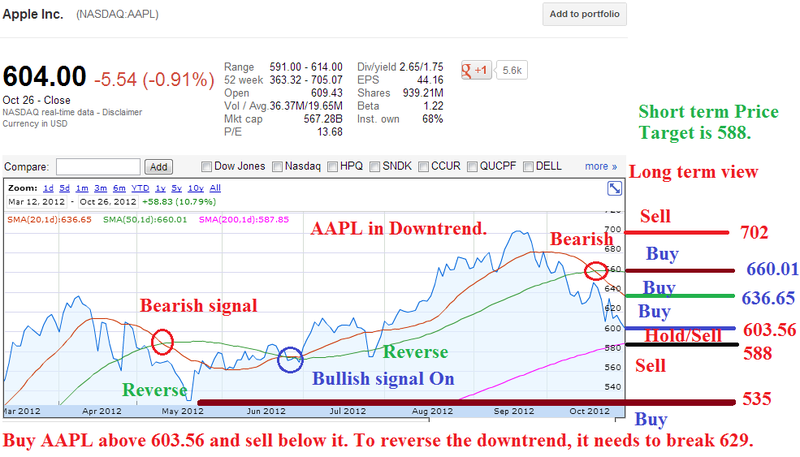 AAPL short term likely to test 588 unless it moves above 614 which confirms bullish trend. 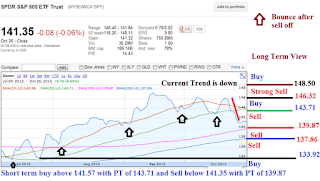 For day trading buy SPY above 141.51 with price target of 141.99 and short on the way down at 141.77. 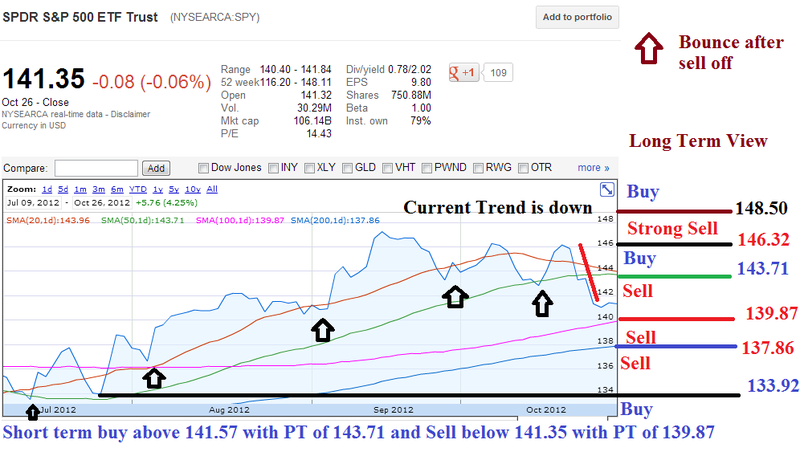 SPY falling below 141.13 confirms bearish trend. 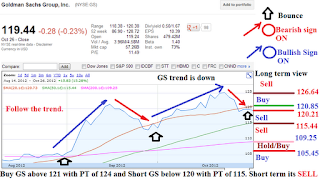 For day trading, If GS moves above 119.75, confirms bullish trend and on the way down, breaking beelow 119.24 confirms bearish trend. 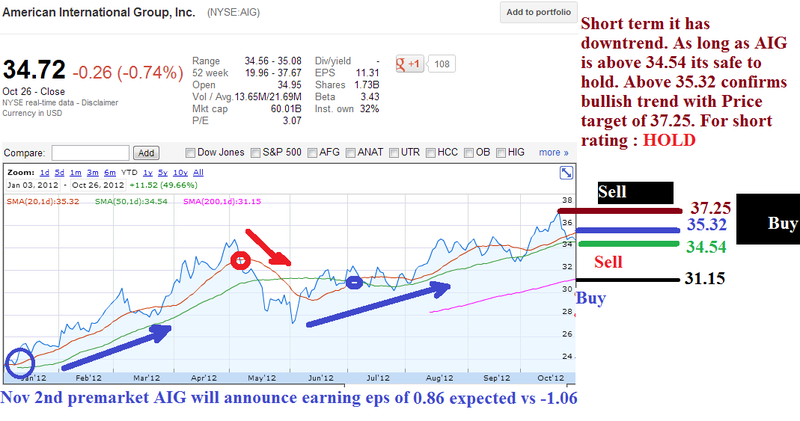 For day trading, if AIG breaks 34.79 it confirms bullish trend and on the way down, 34.52 confirms bullish trend. For Day trading, if HMSY breaks 20.68 followed by 21.35 confirms bullish trend and on the way down, if 20.22 breaks then it confirms bearish trend and most likely it will test 18. 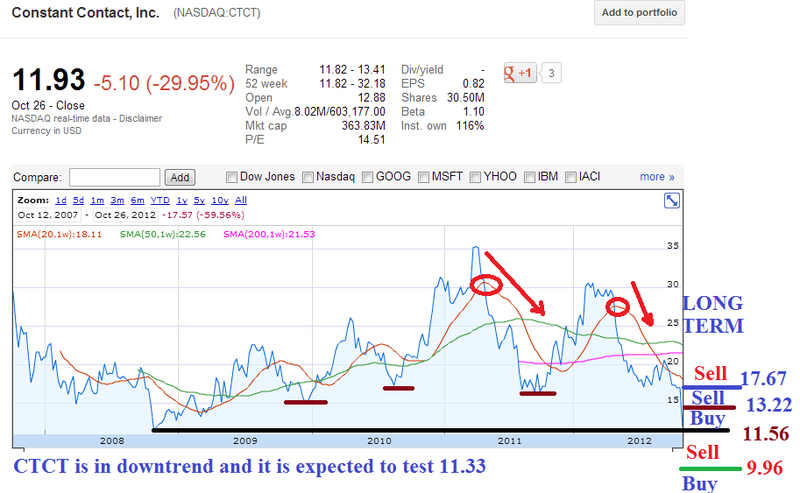 For day trading, 31.16 confirms short term bullish and breaking 31.05 confirms bearish trend.